3) address the needs of global and local communities, with a special commitment to the Great Lakes Bay Region of Michigan. It empowers students to engage in the educational process through community collaborations and apply what they learn in the classroom to real-world issues as actively contributing citizens. There is an equal emphasis on meeting community needs and providing substantive learning experiences to students." This definition was adapted based on work presented by the National Service-Learning Clearinghouse and the Higher Education Service-Learning Clearinghouse, UCLA. Covenant reported that this program has saved over $1.2 million in increased efficiencies since 2011. 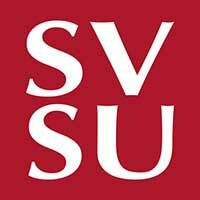 Course materials are developed jointly between SVSU and Covenant.